2005 Honda Accord Sedan EX | Bexley Motorcar Co. 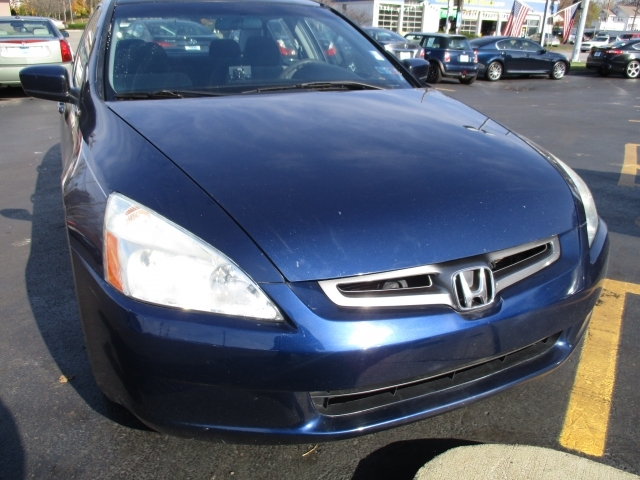 This amazing 2005 Honda Accord Sedan EX is for sale at Bexley Motorcar Company. The Eternal Blue Pearl exterior on top of the stylish exterior lines will turn heads every time you drive down the road. With a classic look and a comfortable gray cloth interior this Accord is a great sedan. With a 2.4L 4cyl. engine paired with an automatic transmission this Honda will give you a smooth ride down the road. With audio controls, and cruise control mounted on the steering wheel Honda has give you the ability to keep your eyes on the road for safety. The tilt/telescoping steering wheel gives you the perfect fit in the drivers seat. One of the best things about this Accord sedan EX is the power sunroof, that lets fresh air and sun into your car. With only 87,000 miles on the sedan it has a ton of life left on it. Spot by our great location to take a look at this great family car. We are located at 2253 E. Livingston Ave. Columbus OH, 43209.